JOHN LLOYD CRUZ – One of Kapamilya networks’ most sought-after actors John Lloyd Cruz was caught on tape in an allegedly drunk state. John Lloyd Cruz is someone that the entertainment industry could call one of the veterans for his remarkable roles and great contributions through his award-winning stints on numerous hit movies and shows. And lately, he and Ellen Adarna got themselves in a controversy for being an item as they were caught often spending time with each other. Neither of them broke their silence yet about the real relationship status in between them and no one yet from the both of them had confirmed nor denied if romantic ties really got them together. Recently, they were spotted in Cebu together. And there are these brief footages which had leaked to where John Lloyd was caught on tape in an allegedly drunk state. On the Facebook page of the Fashion Pulis are where the videos were obtained from. 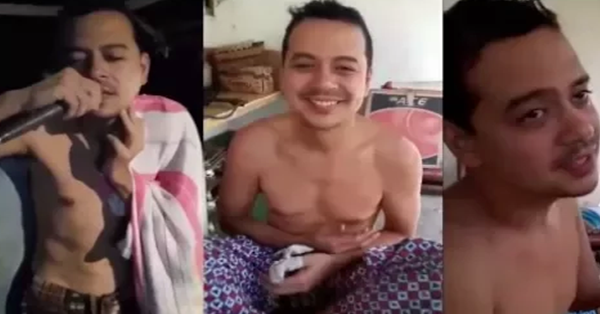 The first video shows to where John Lloyd, without any cloth on his upper extremities, was dancing while dancing to which his eyes looked as if tired. On the second one, it showed John Lloyd called Ellen “baby”. And on the other one, the actor was just simply singing. JLC is also a human and not a Saint to be on his most behave act even on the spirit of liquor. Pretty normal act pag nagwawalwal. Masyado na big deal lang kasi artista sya. Still my fave local actor though!